Home » Collaborative robot Ciao! MAN-MACHINE INTERACTION THAT DRIVES PROGRESS. Ciao! is the brand-new Collaborative Desktop Robot designed to work together with the operator, in total safety. Equipped with controlled and guaranteed torque motors, if it encounters an obstacle it stops instantly. It does not need a protective cage and already has a software designed and built internally. 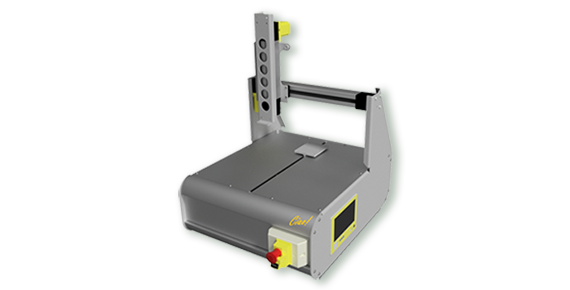 It can be perfectly integrated into any production process, thanks to a simple programming environment, has multiple applications and is extremely easy to use.